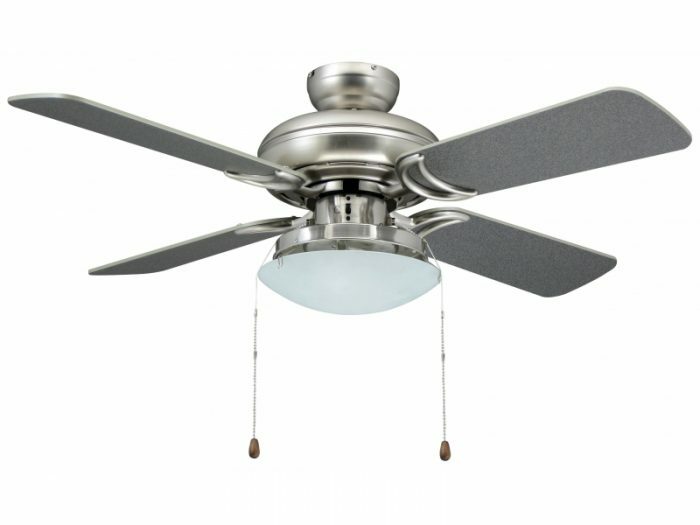 Star Ceiling Fan With Light Kit - Half price! 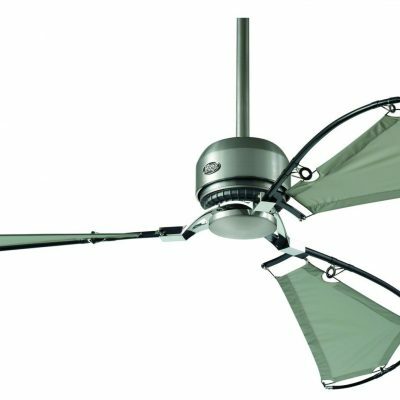 Home / Shop / Model / Star / Star Ceiling Fan With Light Kit – Half price! A delightful very reliable small fan with a modern stylish light and bowl that makes it perfect for small rooms such as in lofts or bedrooms. The Star fan is brilliant for small rooms where a large fan would be overwhelming. The fans look very classy with the frosted glass shade and the pictures do not do this model justice. Rooms such as attic or loft bedrooms and upstairs offices which get very hot in the summer really benefit from a fan even if they have large dormer skylight windows. This is a very modern and stylish fan and since it comes with a motor lifetime warranty and light kit (that is optional to use) it offers fantastic value. These models are designed for the European market and are manufactured in China to a very high standard – in fact higher than Hunter. They are so reliable that in 10 years of selling them we have not had one fault. Star is a brand that has been around for over 40 years and have been sold in many other countries. It is the no 1 ceiling fan brand in Israel selling over 250,000 fans per year. It was very popular in England in the 1970’s and 80’s due to its great quality and style. 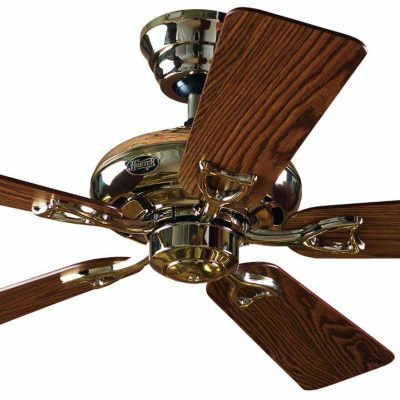 10 reviews for Star Ceiling Fan With Light Kit – Half price! This is a really nice fan which performs better than expected and I will be buying some more. I was on a very limted budget but wanted something of decent quality. The AFC Star is a great and has exceeded my expectations. Having already purchased a Century desk fan I wanted something bigger and this certainly did the job. A very heavy base means this stays put and delivers perfectly to a wide area of my office due to its oscillation. This fan made all the difference in my hot office where all the pcs and printers made for a very sticky environment until this mother blew it all away. We only use our conservatory a little so didn’t want to spend a lot but wanted a better fan than a B&Q special that would pack up in 2 years. Went together easily and looks great. 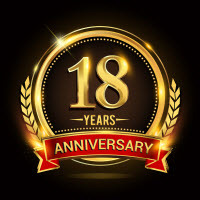 I needed a fan to complete the desired look for my conservatory and after speaking to Hunters customer service decided what I wanted and I am so pleased I did. Good value for money. But the biggest let down is the light itselves. There is a big gap between the light fitting and the shade and you can see throught to the inside, the bulbs, wires and the bulb fitting from all sides. Also the light source is not central to the shade because of where the bulb fitting is situated. Though it does look like it is a good quality fan. I love ceiling fans as a way to cool the house, and have always bought Hunter, both here and in the U.S. We have been absolutely happy with them. We got two of the AFC fans about three years ago and put them on every night in the bedrooms. With the hot weather this summer I’;m seriously considering getting another for the living room! I bought one of these half-price in the sale and absolutely perfect for my small office that was cooking in the recent heatwave. Brilliant little workhorse – compact and powerful!